Welcome to Adams Autoworx – a friendly Castro Valley Saturn repair shop. Whether your vehicle needs oil service, diagnostics, factory recommended maintenance, or major repairs, we are the local auto repair shop that believes in supporting Castro Valley Saturn drivers. Even though GM has discontinued production of Saturn, Adams Autoworx will continue to provide maintenance and repair services to Saturn owners. Adams Autoworx is a family-owned, full service Castro Valley auto repair shop. We can provide broad range of Saturn repairs and services, including oil service, clutch repair, AC repair, brake repair, electrical repairs, check engine light diagnostics, timing belt replacement, transmission service, fuel pump replacement, transmission fluid flush, oxygen sensor replacement, electrical system diagnostics, water pump replacement, AC recharge, shocks and struts, sensor diagnostics, as well as pre-purchase inspections – and this is only an abbreviated list. Saturn continues to be a popular brand value minded car owners. 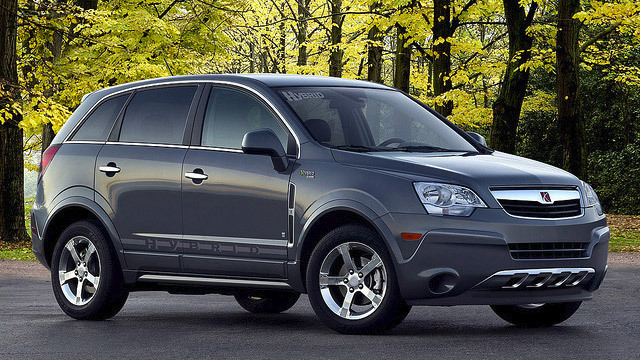 While 2003 Saturn Vue had transmission problems, and 2006 Saturn Ion faced power steering issues, overall Saturn vehicles, if properly maintained, can provide years of loyal service. Our ASE certified mechanics undergo ongoing training, and are well equipped to service you Saturn with speed and quality. We work on all popular Saturn models, including Astra, Aura, Ion, and Vue. You can set up an appointment online, or simply give us a call.